With the existence of modern technology, more and more people are now using the internet to shop for goods and services they need. Convenience has become the major reason why most people now choose to buy online. By simply clicking the product you want from your computer or tablet screen, you can already get the item you need in an instant. However, one cannot deny that while there are many positive aspects in online shopping, there are also some disadvantages to consider. Since you’re shopping online, there’s a chance that you might get a defective product. Having said this, it’s very crucial to choose the best place to buy appliances online. If you want to purchase products for your new home, here is a list of the best place to buy appliances online, with affordable product cost and great discounts. If you’re looking for a best place to buy appliances online, then AJ Madison is a great place to start. It’s an online store offering a wide variety of major brand name appliances, all with guaranteed unbeatable prices. The store also offers great discounts and free delivery benefit on selected items. The store site also has buying guides and tips to help you in making your buying decision. 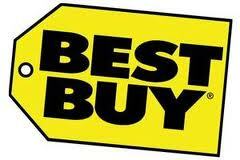 Best Buy is the largest multi-channel electronics retailer all over the world. If you want to purchase appliances without making a large dent in your savings, then Best Buy is a great place to consider. The store provides a wide variety of home appliances, all with very affordable prices. What’s great is it also gives free shipping on orders $25 or more. With over 60 years in home improvement service, Lowe’s is a best place to buy appliances for your new home. Not only that it provides affordable products, but it also offers special services that can give you a great deal of shopping savings. Lowe’s services include installation savings, discounted prices, return and exchange policy, as well as free shipping on items $49 and up. Home Depot is an American retailer carrying a wide variety of home improvement needs, such as kitchen appliances, furniture, outdoor equipment, and power tools. The good thing about this shopping place is not only you can get items with affordable prices, but you can also receive maximum online shopping experience because of their great offers. Home Depot provides installation and repair services, tool and truck rentals, and credit and special financing offers. One of the best online shopping stores that offers the best deals is Sears. No matter where you are, Sears can get and give you everything you want. In addition to their affordable products, the store provides a very convenient delivery service for your home needs. If you’re looking for appliances with affordable rates, then shop in Don’s Appliances. Established in 1971, Don’s Appliances have been rated among the Top 100 Servicer by Sub-Zero Wolf. The store offers a wide range of exceptional brands, from small kitchen accessories to large home improvement items. It also provides convenient services, including delivery and installation options. Walmart is a popular American retail company that provides a large selection of home and electronics products. In addition to their wide assortment of affordable products and friendly customer service, the company also gives a refund and retail policy for its buyers. That means if you’re not satisfied with the product, you can exchange or refund your purchase, as long as you follow their guidelines. 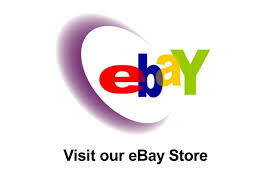 Ebay is a popular shopping website that carries a wide assortment of affordable products, such as electronics, home equipment, kitchen appliances, fashion items, toys, as well as art and collectible pieces. If you want to get the best deals, browse their “gifts&deals” page and select from a large selection of products with discounted prices. The store also offers free shipping on selected prices, which is great for online shoppers. If budget is really a huge concern, then Amazon is also one of the best places to visit. Aside from its affordable products, the store provides new deals everyday with free shipping cost on selected countries and items. In addition, Amazon also gives holiday gifts for its loyal customers (usually in the form of gift cards), which you can use to buy items that you want. Did we miss out on your choice of the best place to buy appliances online? Let us know by leaving us a comment below.